There's an old quote, "statistics don't lie but liars tell statistics." And,the stats, stories and spin-doctoring spew almost as fast as the devastating oil geyser in the gulf. Here are a couple disaster metrics - and a few thoughts on the fate of BP -that can help give some context for the average Joe the Plumber. 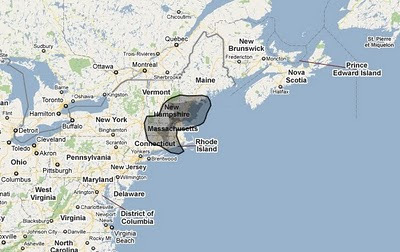 With the help of http://www.ifitwasmyhome.com/ we can see how the slick would look if it was placed in Eastern Canada. Here we see that Montreal, Ottawa, Quebec City and southern Vermont would all be drenched by toxic sludge. That's a 2.5 hour drive east-west and a 5.5 hour drive north-south through venemous devastation. From a North-eastern American perspective, the size of the toxic sludge would cover all of Massachusetts and Rhode Island, and a healthy chunk of Vermont, New Hampshire and Maine. Tony Hayward, president of BP is on record for saying, "The Gulf of Mexico is a very big ocean. The amount of volume of oil and dispersant we are putting into it is tiny in relation to the total water volume." 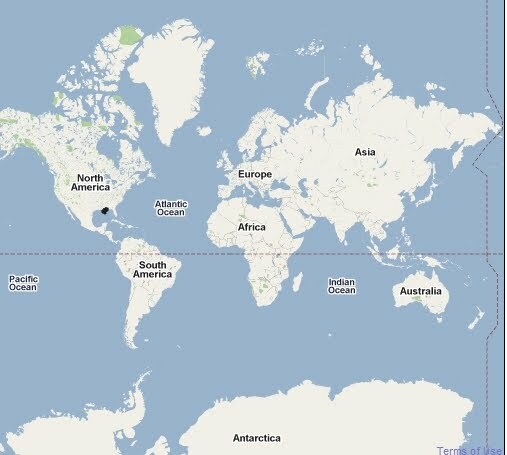 (May 14, 2010) While he is right (see map below), what is really tiny is the amount of thought put into that statement. I don't think we need to do a deep dive on his comments, discuss his lack of judgment on the ecosystem and cruelty towards animal life, or examine his lack of sensitivity towards the tens of thousands of residents of the Gulf coast who lost their livelihoods due to the disaster. The point is that the slick is a big, nasty blog that is damaging to a big area. But we're also living on a pretty big planet. As Angus Young wrote, "money talks"- so how much money is at stake here? More specifically, how much liquid gold has been lost and what's the clean up price tag? According to Reuters, about 40,000 barrels per day flow into the sea. So let's do a back of envelope calculation: 70 days of flow at 40,000 barrels per day at a little under $80 per barrel is just under a quarter billion dollars of oil. That's hardly anything to BP's $12 billion profit from last year. But, obviously the longer the hole goes unplugged, the greater the value in lost oil. But then there are the big costs: Plugging the hole, containing the mess, cleaning up the mess, payouts,legal costs, and damage to the brand. Let's look at these one at a time. At the start of the crisis, BP was spending $6million per day on containment. As containment becomes more difficult due to mini blobs, a growing slick, and tropical storms, this amount inevitably rises. A recent Drudge article noted that BP is paying $30 million per day in hole-closing and containment costs. Soon we'll be on day 90. That takes us to the clean-up costs. For this, we have some historical data for a benchmark. The 1989 Exxon Valdez oil tanker disaster had an estimated $5 billion clean up price tag. So given that the BP geyser is already much larger in terms of both volume and area - and continuing to grow- and adjusting for the time value of money, the clean-up will far exceed the estimated $5 billion dollar Alaska clean up. Add on to BP's catastrophe, the clean-up costs the $20 billion of compensation (or should I say "starting point compensation), legal costs and other defenses, and, any way that you calculate it, if BP antes-up like it says it is going to do, we can predict a 1:100 ratio of lost oil revenue to damage costs to BP. And of course, this tally doesn't include the damage to the BP brand, which is already estimated at $1 billion. So with mounting billions in liabilities, some folks in the press are flirting with the question, "should BP close its doors?" A more interesting question is, "why can't BP fail?" There are a few interesting forces at work here. Second, organizations of BP's size and power have tremendous clout, lobbying and reach with in political circles. Excuse me for being cynical, but the investments BP has made in lobbying and elections has been done in exchange for political favors. Is anyone surprised that Joe Barton, the Republican Congressmen who said BP "deserves an apology" from the Obama, received $27,000 in donations from BP? Let's not forget that Obama and McCain also received handsome BP donations- $75,000 and $45,000 respectively. The point is this- there is a lot of BP goodwill in political circles and it reaches from Congressman to Senator to the President of the United States. I would bet it also reaches even deeper into British parliament. Third, BP stock is widely held in pension funds. As the BP stock plummets, British pensions are being devastated, which means that the British government is going to be very reluctant to let BP fail. While the "anti-BP" rhetoric can be pretty strong in the US, the US government also has incentive to help out BP. According to Bloomberg, public state retirement funds have lost around $1.5 billion in value due to the declining BP stock price. (Eg.California State Teachers’ Retirement System lost $104.8 million; Florida State Teachers' Retirement lost $87.8 million). This is further compounded by the fact that many of these losses are in states that are already in terrible fiscal shape due to the housing collapse. Pile on the federal pension losses and private fund losses and we can see that the impact is huge. In short, a lot of people are going to be losing a lot of money and corporate welfare can alleviate some of these losses. 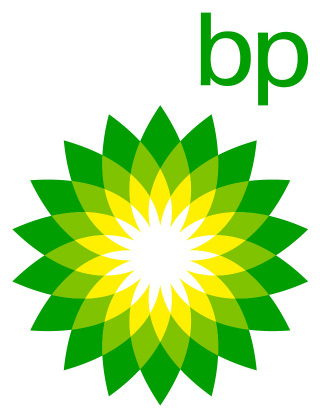 Finally, BP is an energy company. Governments repeatedly demonstrate their desire to have a national energy company. Petro Canada in Canada was started for this purposed. Brazil's Petrobras is 50% owned by the government. Boliva recently sent military troops to nationalize energy areas within its borders. Many argue that US-led Iraq war also was done to support American oil companies. Because energy has strategic importance for nations, governments like their nation to have an energy company. I'm making the case that Britain wants BP to succeed in the sector. So, the incentives are aligned for BP to find a way out of its mess. While the environmental carnage continues with no end in sight and while economic value continues to be plundered, many will talk about how bad BP is. As long as BPs balance sheet can support the clean up, "BP is bad" rhetoric will continue among the politicians and compensations will be pursued. But, if there comes a time when BP is in financial jeopardy, Brits will support their national brand, many politicians will support the hand that has fed them, and the governments will help BP bail out and clean up. This will be done to support the stock. In the meantime, let's all hope the hole gets plugged pronto. Every year a handful of cities get to host Grand Prix Formula One racing. And, this year it's on in Montreal again. I'm really not into racing, but the city certainly comes alive with a fantastic energy and lots of tourist dollars. While a bunch of folks hit the streets to ogle the many Ferraris that are parked on every street corner - and while 10s of thousands of other folks are just out to soak up the street entertainment- my love affair with the week is to check out the marketing. Apologies to the purists, but primary purpose of events is to market stuff. F-1 is no exception. One of the things that is really wicked about street marketing is that this is an opportunity for the consumer to have an interaction with the brand and the brand's representatives. Since direct experience is the best way to develop brand associations in the consumer's mind (because of the full sensory experience and personal relevance of the experience), you can take mundane brands and make them more interesting- or pure image brands and endow them with vivid imagery and warm feelings towards the brand. What follows are some of the best street marketing initiatives from downtown Montreal. Let's start with Gillette. I mean how exciting can a new Fusion ProGlide razor be? Do we really need a razor with 5 blades? For years the single blade served us well. The two blade revolution was cool. After the 4th generation (and 4 blades)adding another blade just seems silly. Well, Gillette put a booth on Crescent Street with some energetic reps and when I was walking by a crowd was watching some random guy all lathered up from chin to scalp, shaving his head with the ProGlide. Like many others, I wanted to join the "shaving on Crescent Street action". Soon, I got my turn and experienced Gillette's (P&Gs) marketing wizardry. I wasn't just sampling the razor, I got to experience an entire Gillette portfolio (shaving cream, ProGlide, and ProSeries Intense Cooling Lotion) ahead of a mirror and sink - with about 50 people watching in a festive atmosphere. Heck, it was the most fun that I ever had shaving. Perhaps most impressive was this: I didn't see a single drop of blood from all the guys shaving. That's impressive. Plus I ended up with one of the closest shaves that I had ever received and even got a few shaving tips in the process. So what is the brilliance of Gillette's promotion? I count 10 distinct and favorable interactions with the brand: 1 seeing the booth; 2. trial of 3 new products; 3. interacting with the reps; 4. interacting with the other shavers; 5. receiving the take-home sample; 6. walking away with the tingly cool feeling on my face; 7. carrying a Gillette bag around; 8. receiving expert testimonials about me how smooth my face feels; 9. placing the samples in my bathroom; and 10. trying the samples at my own home. The brand prof in me can't give help but give Gillette an A grade. Diesel is usually positioned as a brand with edge, attitude and quirkiness. This Grand Prix promotion had a softer side and the promotion was much more light-hearted than what you would expect from Diesel. It is pretty hard to go wrong with a BBQ for a children's hospital but the Diesel did drive home its "Be Stupid" position with an old-school dunk tank. You couldn't help but leave Diesel feeling a little fuzzy about that brand. Interestingly enough, Diesel hired marketing students to man their booths - so, if you want, you can have a more in depth discussion on the values of the Diesel brand. Finally, there ought to be a car company with a serious sponsorship at an event like this and Ford lets you enter the world of race-car escapism for 8.5 seconds or so. In addition to showcasing some of their sporty models, Ford's contest lets you "work in the pit crew" to change an F1 tire. Hey, its raw automotive escapism for those few seconds. Of course, this associates Ford with the testosterone speed and excitement of the F1 event- a perfect fit for a brand whose portfolio is increasingly sporty.